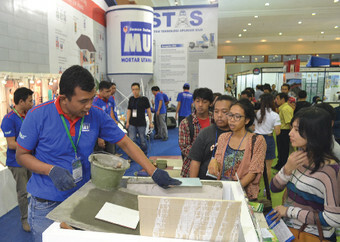 Based on strong knowledge and experience, Mortar Utama Weber's training services provide comprehensive educational solutions for product applications. Training facilitator is experienced in the field of building materials application. We offer training for applicators. This service aims to assist customers in terms of using the correct and efficient products. Training can be done on the project site.